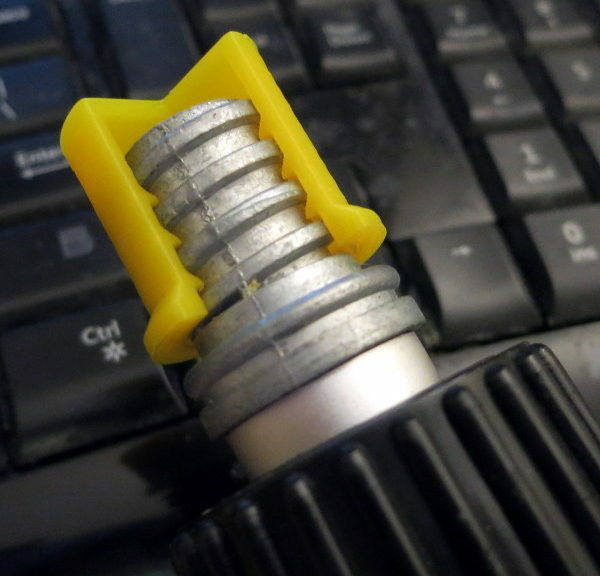 I often 3D print screw-top parts to replace broken or missing parts. For example, we recently installed media (blackout) shades for our skylights, so we can watch movies when the sun is out. Our family room ceiling is quite high, so the pole and hook designed to open and close the new shades is too short. No problem: I just needed to design a new hook, that’s part of a cap that screws onto a longer pole that we have. So I measured the thread of the existing pole: its inside diameter (the diameter of the cylinder without the thread), its pitch (the distance from one turn of the thread to the next), and the profile (outline) of the thread. I then designed a cap that should screw onto that pole, with a thread that should match the pole’s thread. One simple thread-match test, which I usually perform, is to just print out the part and see if it screws onto the existing part. That’s fine, but doesn’t really tell you how well you’ve measured the existing part. 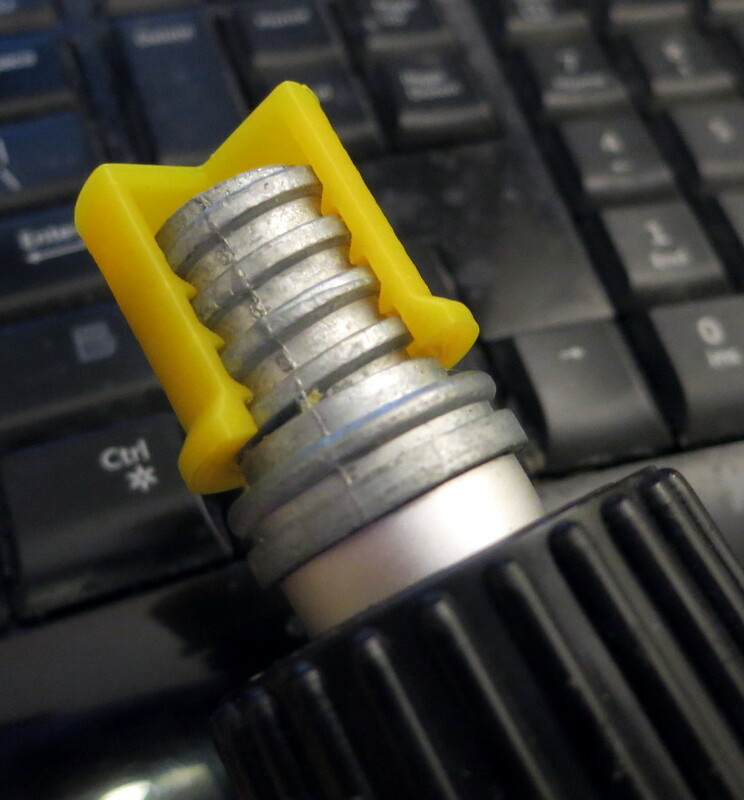 This time I did something a little different: I printed a version of the screw-on cap, but with a slice removed so I can see the way the cap fits onto the pole. As you can see in the photo above, by taking a slice out of the cap, I can see and measure the difference between the existing thread and the thread on my cap. If for example the pitch of my cap was slightly larger than the required pitch, I would have seen that the vertical spacing between the pole and the printed cap increased near the top of the cap. 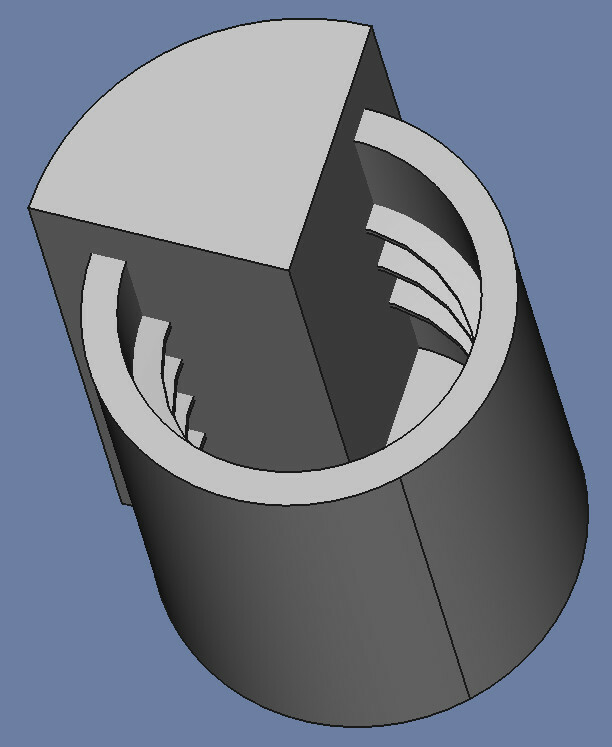 To cut the cross section from the cap, I created a pie-shaped object (shown in the image above), then subtracted it from the cap, and printed the result. Once I’d checked the measurements with the test print, I then finished the design of the cap, knowing it would screw onto our existing pole. Success! I’ve posted the completed, open source design on Thingiverse.